Join us for the seventh annual Wheel to Survive on Sunday, February 24. For more information, contact Terri Arends at 214-239-7137 or tarends@jccdallas.org. Why work out alone when you could get fit with friends and family? At the J, there are tons of group fitness classes to choose from, whether you’re looking to shake things up in Zumba or build strength and focus in Yoga. 12 – 14 years of age and older welcome with parent supervision. Over 100 FREE exercise classes/week for adults, youth, families, and seniors. All classes are led by experienced fitness instructors who know how to motivate you and make exercise fun. So don’t go at it alone – join us for a Group Fitness Class! We have so many classes to choose from…where will you start? See below to help get started! Spivi® turns traditional indoor cycling sessions into a fun and thrilling experience. Group activity is monitored in real-time by Spivi’s core engine which simulates an outdoor riding experience projected on screen. Riders can see their personal avatars on screen, track their training goals, and gain better results over time. Spivi® saves performance data on a personal and group basis for each session. Riders can access their performance records anytime, anywhere on their phone. set by each individual. This coupled with the added benefit of little (or no) post training muscle soreness; Speedflex is efficient, enjoyable and delivers a cardiovascular and resistance workout simultaneously. For more information, please contact Terri Arends at 214-239-7137 or tarends@jccdallas.org. Josh Goldstein grew up in Newton, Massachusetts. 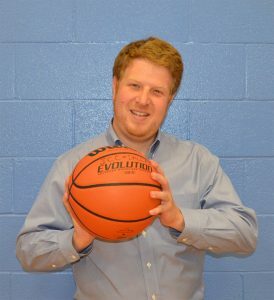 After 10 years coaching men’s and women’s basketball at Muhlenberg College, UMass Boston, St. Anselm College, and Pembroke Academy, he moved onto working in the Jewish Community as the Recreation Supervisor at the JCC of Greater Columbus, organizing and running both the youth and adult sports programs including a role as the JCC Maccabi Delegation Head. Josh also has extensive experience in Jewish Camping and Special Education. He looks forward to immersing himself in the Dallas Jewish Community and working with JCC staff and members to further the JCC Mission within the Sports Department. Tanya Johnson has been working at the J for over three years, but a member since she was a baby. She graduated from The University of Kansas with a Bachelor of Science in Health Sports & Exercise Science and is a KU basketball fan. 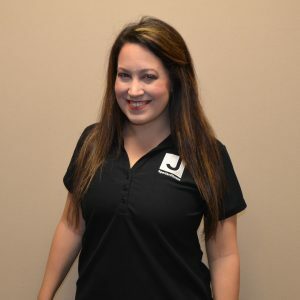 She is currently our Speedflex and Sports & Fitness Business Manager. Her role includes any rentals in the Donsky basketball gyms or field. Previously, Tanya worked as the Israel Engagement, Jewish Living, and Camp Assistant here at the J and has helped with the Dallas Maccabi Games.